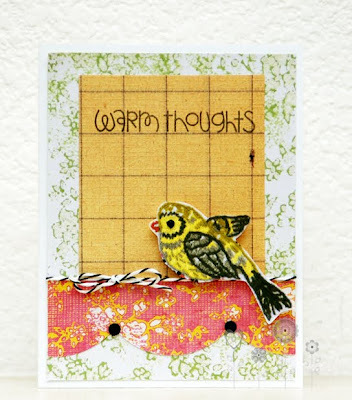 Today, I have a card to share with you that I'm entering in the Paper Smooches SPARKS for Sept-Oct. The challenge is the be inspired by this darling picture. I love the colors on this! So sweet! Here's my card for the challenge. 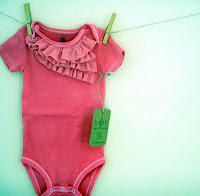 I was inspired to use pink and green in a soft vintage-y way. The paper is from GCD Studios. My sentiment is from Paper Smooches Sentiment Sampler. And I used some Black Licorice Divine Twine for this card. Your card is just darling!! I hope you join us for Link Up for Pink starting October 1st...we have over $3K worth of prizes...Paper Smooches is one of our many sponsors! This is great!!! The black twine really adds such a nice touch! !